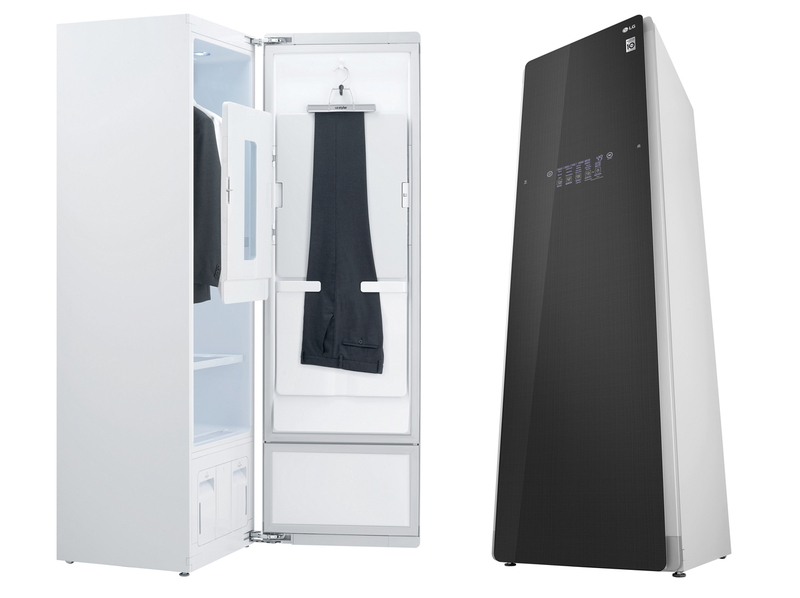 SEOUL: LG Electronics (LG) will showcase a larger version of its revolutionary Styler at the upcoming CES 2018, complete with an expanded interior allowing storage of up to six garments. Wi-Fi connectivity and other smart features also boost user convenience of the LG Styler a step further to make life easier for modern consumers on the go. The newest Styler can care for a wide range of garments and items for the entire family - including clothing that requires extra delicate care such as brassieres, blouses, coats and formal wear to jeans, jumpers, or even babywear and plush toys. The Moving Hanger can hold up to five items of clothing, and the Pants Crease Care inside the elegantly designed Glass Door can hold larger pants, even up to a waist size of 48 inches, while leaving a longer crease of up to 60 centimeters. The LG Styler’s expanded interior allows room for clothes that occupy a larger amount of space such as down jackets and padded winter coats. The Styler’s Wi-Fi compatibility and easy-to-use smartphone controls take user convenience to a new level. Various styling courses are available for download and the mobile app can be used to track energy consumption or set up to notify the user at the conclusion of a cleaning cycle. For clothes with NFC tags, the smartphone app can scan the tag and inform the Styler which course is most effective. At the heart of the Styler is LG’s innovative TrueSteam™ technology which gently sanitizes garments and neutralizes unpleasant odors, removing over 99 percent of allergens and bacteria in clothing.1 The hot steam sprayed directly onto clothes sterilizes as well as straightens while the Moving Hanger shakes out remaining wrinkles. The Easy Pants Crease Care also reduces behind-the-knee creases on pants and can even leave a crisp line down the center of each leg for a sharp finish.